The way you enjoy your dram is personal, but there are a few time-honoured techniques that will allow you to unlock the hidden notes in your dram. I’ve created this step-by-step guide to nosing and tasting, concentrating on the things I look for when I’m enjoying a single malt. I hope it helps you get even more from your next dram. You don’t need special accessories to enjoy a nosing and tasting. I find an ordinary wine glass works well, but a special tulip shaped nosing and tasting glass will guide aromas to your nose and its wide bowl will allow you to warm the liquid with your hands and awaken the whisky by swirling it inside the glass. A splash of water can reveal hidden depths in your dram’s character. Pour yourself a small jug before you start and add water a drop or two at a time. Water should usually be room temperature or lightly chilled. Bottled water with a low mineral content will give you the best impression of the whisky’s natural character. It's a myth that the darker the whisky, the better the quality. In fact, the colour is derived from the kind of cask that's used. The colour of your single malt gives you an idea of how it matured, but only you can decide how good it tastes. 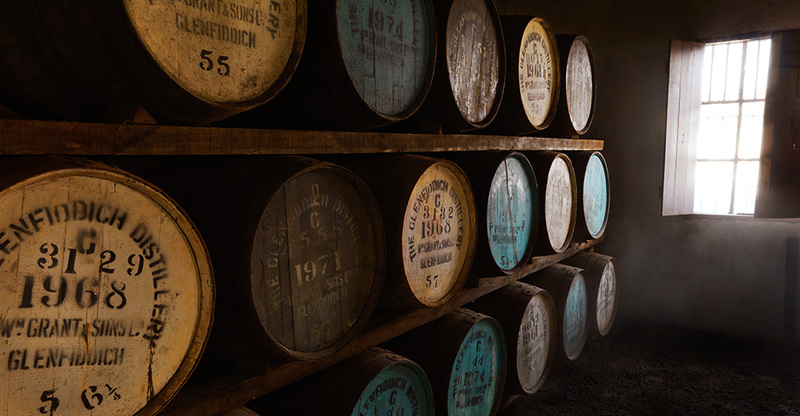 WHAT DOES THE COLOUR OF YOUR DRAM SAY ABOUT THE CASK? 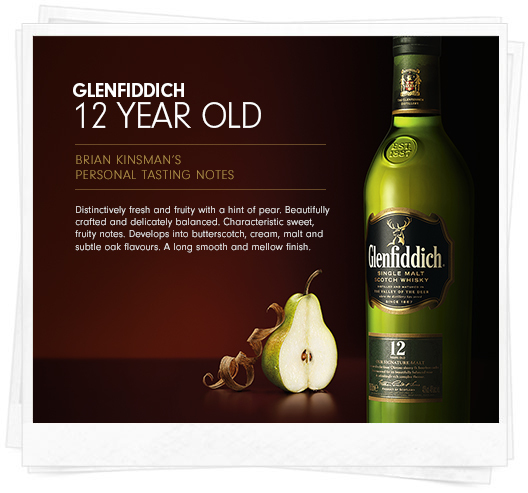 Discover the notes in your dram one sip at a time by nosing, tasting, considering and repeating. Warm your single malt by cupping the glass with your hands. This will release the aromas. After a minute, raise the glass to your nose. With your mouth slightly open, inhale slowly. What does the first nose make you think of? Freshly cut grass? A leather-bound book? Take your second sip. While your first sip may have been dominated by a single experience, your next sip will reveal more of your single malt’s character. This is the time to investigate subtle hints behind the dominant flavours. How has the taste developed? Take just a small sip then take time to think. Is the single malt sweet, mellow, fruity, oaky? Does the taste complement the aroma of your dram? As you go further into your tasting, these notes may develop, evolve, or even change entirely. Your palate, taste and memories will combine with the liquid on your tongue to give you a genuinely unique insight into your dram. What subtleties can you taste in the flavour? Is the woodiness custardy? Does the floral scent remind you of heather? Only you can decide. Once you've become familiar with the hidden notes in your dram, it's time to explore some of these complexities further. Take your time. As the whisky washes across your tongue, different parts of your palate will spring to life, each responsible for a different sensation: sweet, salty, bitter, savoury. As you sip, you will experience different dominant notes. As no two palates are alike, everyone's experience is different. How long does your single malt linger? It can be short, medium, even exceptionally long. Some notes may last for hours, while even the strongest sensations may fade quickly. When you hear someone say a whisky is “simple” or “complex”, they’re not passing judgment on its quality, they’re talking about its structure. The structure of a single malt is a combination of the different notes, the way they interact, and how they complement each other. When nose and palate are in alignment we say that the single malt is balanced. How many sensations were there and how did they all sit together? Did the different notes complement each other? If they did, your single malt was perfectly balanced. Everyone experiences a nosing and tasting differently. Discover your unique insight by recording your impressions and sharing them with friends. Was your whisky smooth, silky or dry? You may change your mind by the second or third sip, but by now you should know your single malt’s character. It can be mellow, warming, distinguished, even austere. As no two palates are identical, no two people will experience their single malt in exactly the same way. It’s often enjoyable to share a nosing and tasting with friends, or to keep notes to share later. To gain even more knowledge about your favourite dram, take a Malt Master Class with Brian Kinsman. Watch as Brian noses and tastes some of our most popular expressions and takes you deeper into the story behind our very special single malts.